Walking how many miles, every day, in all weathers must be a reasonable training ground for a serious runner, that’s Cleveleys own Steve Ormond, Marathon postie! Last Spring, we wrote about Steve, the Cleveleys postman. 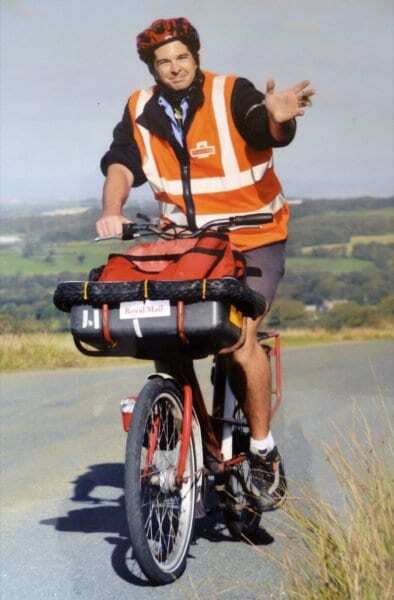 He’s been a postie for 6 years, and for most of that time he’s been delivering in the Whiteholme area but at the time of the original article was on relief duty which took him on a variety a rounds all over the FY5 area – which is quite a big area, and much bigger than most people think! At the time when we first spoke to Steve, he was planning on running the Edinburgh Marathon but unfortunately broke his foot so he couldn’t compete. 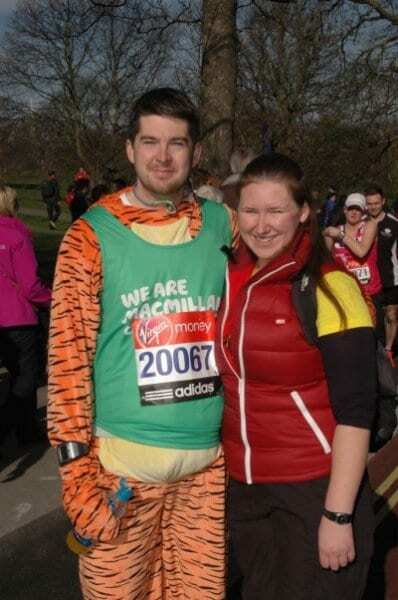 Not to be stopped, Steve picked up his training and was lucky enough to make the Virgin London Marathon this year, completing the 26.63 mile course in a very respectable 5 hours, 14 minutes and 24 seconds – while dressed as Tigger! He does all his running and marathon’s to raise funds for charity. You can make an online donation on Steve’s fundraising page here. Steve built up a good rapport with the people on his original Whiteholme round, and he’ll always be grateful to them for spurring him on and their support in the early days. Steve says, ‘the amount of kind words and sponsorship they have given me over the years has been astounding’. Like we said, you don’t do a post round and not be fit. The regular walking, and lots of it, on a daily basis builds up the stamina, and Steve started off taking part in the Blackpool Beaverbrooks fun run (and has run it annually for the past 7 or 8 years). When his grandfather died after a struggle with leukeamia he decided he wanted to do something big to raise money for a leukeamia charity, first Children with Leukeamia and now Children with Cancer, and so his fundraising began. 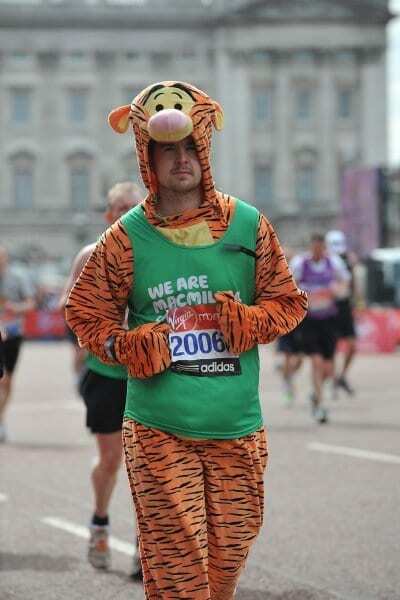 The encouragement he received with the 2010 London Marathon was amazing, with people continually asking for information and wanting to know what he was doing next, that he felt such support couldn’t be wasted so he carried on signing up for things, and the money kept on coming, and he was hooked!! 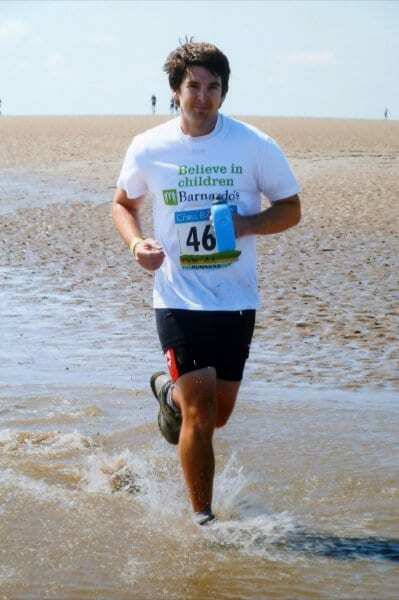 Along with the Blackpool fun runs, here’s a quick run down of the events Steve has helped to organise and/or completed…..
Steve’s hoping to continue this year leading up to the 2013 London Marathon – and his dream goal is to have raised over £5,000 for charity.